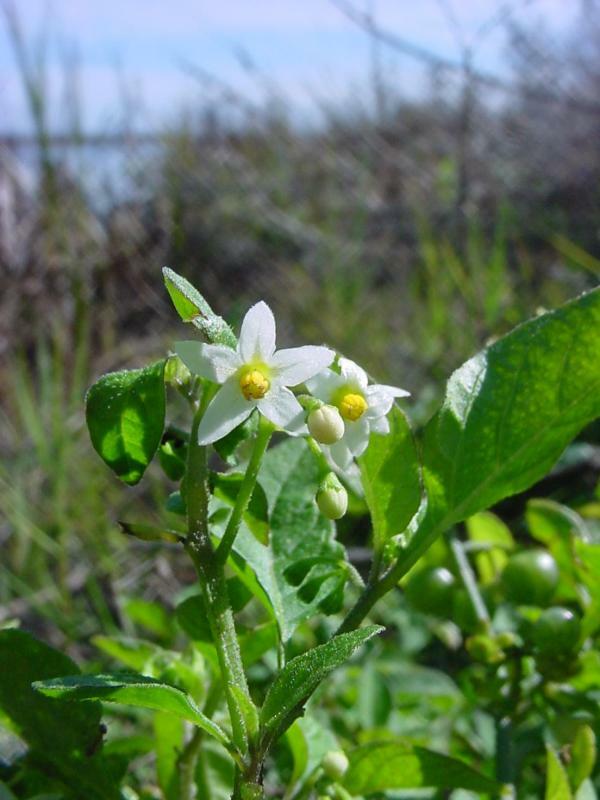 Small-flowered nightshade is a straggling to somewhat bushy annual or perennial either glabrous or with short, curved, appressed hairs. 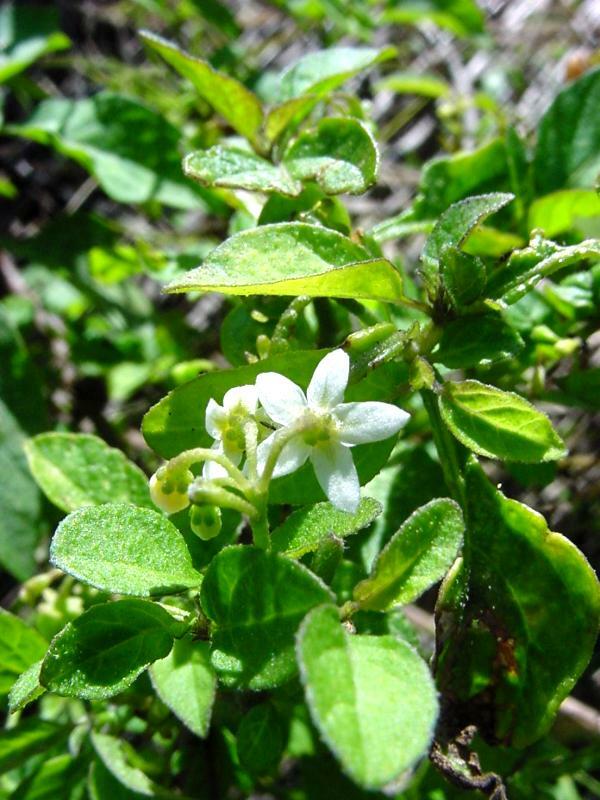 The leaves are from 1-1/2" to 4" long, ovate to elliptic, and entire-margined to coarsely wavy-toothed. The inflorescence is ± umbel-like each including several flowers. The calyx is short with lobes that are quite distinct to the base and often recurved in fruit. The corolla is 1/8" to 1/4" wide and the white to faint purple lobes are deep and often reflexed. 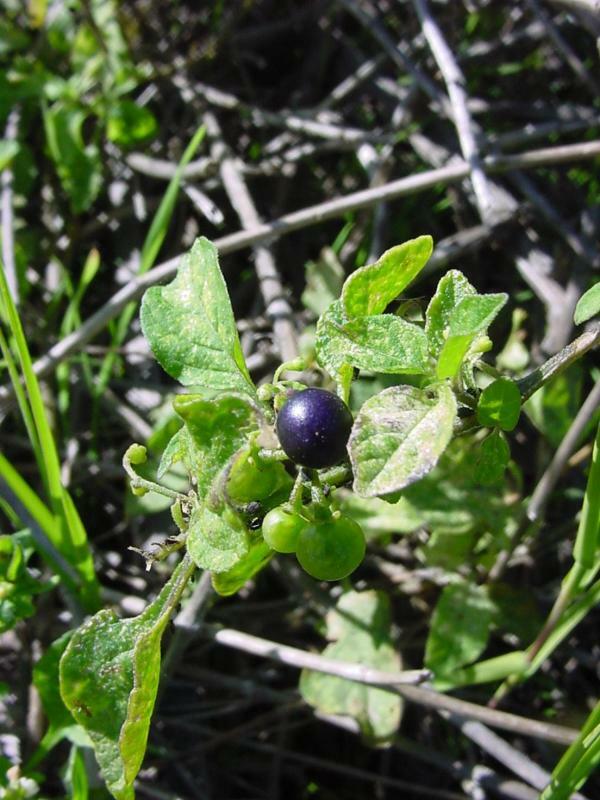 The fruit is a globose berry almost 1/4" in diameter, greenish becoming a shining black. 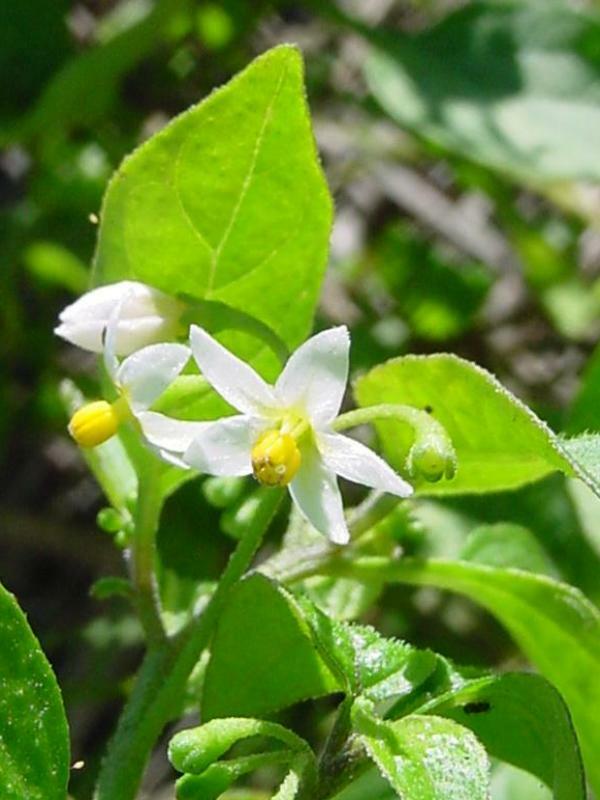 It is mainly differentiated from Solanum douglasii by having anthers 1.4 to 2.2 mm long as opposed to 2.5 to 4 mm long. Small-flowered nightshade is a fairly common species in open damp fields and waste or disturbed places below 3000' in cismontane Southern California and occasionally in the Mojave Desert, and it may be found blooming from April to November. There seems to be some disagreement about its origin, with Munz saying that it is a native of the Old World and the Jepson Manual listing it as native but qualifying that by saying that it may be an early introduction from S. America. These pictures were taken at Bolsa Chica Ecological Preserve. Click here for Latin name derivations: 1) Solanum 2) americanum.